that the majority of its prospective purchasers will not have seen!" Thomas Stearns "T. S.” Eliot, 1888-1965. American-born British poet, playwright, and literary critic. Typed Letter Signed, T. S. Eliot, 8" x 9½”, one page, with holograph emendations, on stationery of Faber and Faber Ltd. Publishers, London, [England], October 26, 1955. 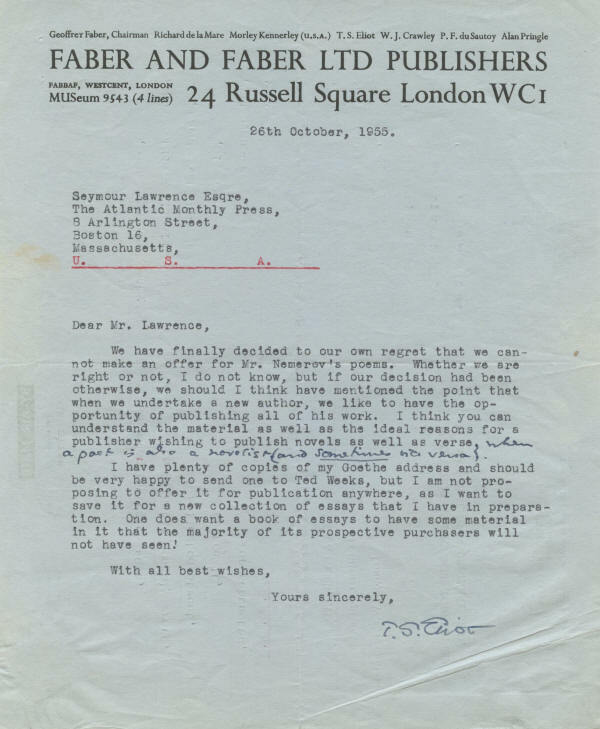 In this letter, Eliot, a literary editor and director of the British publishing house Faber & Faber, declines to publish the poems of Howard Nemerov, a later winner of the Pulitzer Prize for Poetry. He also declines to offer one of his own works for publication. He writes, in full: “We have finally decided to our own regret that we cannot make an offer for Mr. Nemerov's poems. Whether we are right or not, I do not know, but if our decision had been otherwise, we should I think have mentioned the point that when we undertake a new author, we like to have the opportunity of publishing all of his work. I think you can understand the material as well as the ideal reasons for a publisher wishing to publish novels as well as verse, when a poet is also a novelist (and sometimes vice versa). / I have plenty of copies of my Goethe address and should be very happy to send one to Ted Weeks, but I am not proposing to offer it for publication anywhere, as I want to save it for a new collection of essays that I have in preparation. One does want a book of essays to have some material in it that the majority of its prospective purchasers will not have seen!" obviously more in common with my distinguished contemporaries in America than with anything written in my generation in England. It wouldn't be what it is, and I imagine it wouldn't be so good . . . if I'd been born in England, and it wouldn't be what it is if I'd stayed in America. It's a combination of things. But in its sources, in its emotional springs, it comes from America. By declining Nemerov's work, Eliot may well have made a mistake. During his long career, Nemerov (1920-1991) received numerous awards for his writing, including the the Pulitzer Prize for Poetry, the National Book Award, and the Bollingen Prize for The Collected Poems of Howard Nemerov, published in 1977. Nemerov served two terms as United States Poet Laureate, 1963-1964 and 1988-1990. Eliot has interlined the text and signed in blue-gray fountain pen. The letter is on preprinted airmail stationery, so that the address is typed on the back.  It has one normal horizontal mailing fold, staple holes at the upper left, and a diagonal crease at the lower right corner, none of which affects the signature. Overall it is in fine to very fine condition. Click here to see other World History autographs. Click here to see other American History autographs.